Poster illustration for a Creative Non-Fiction writing course. 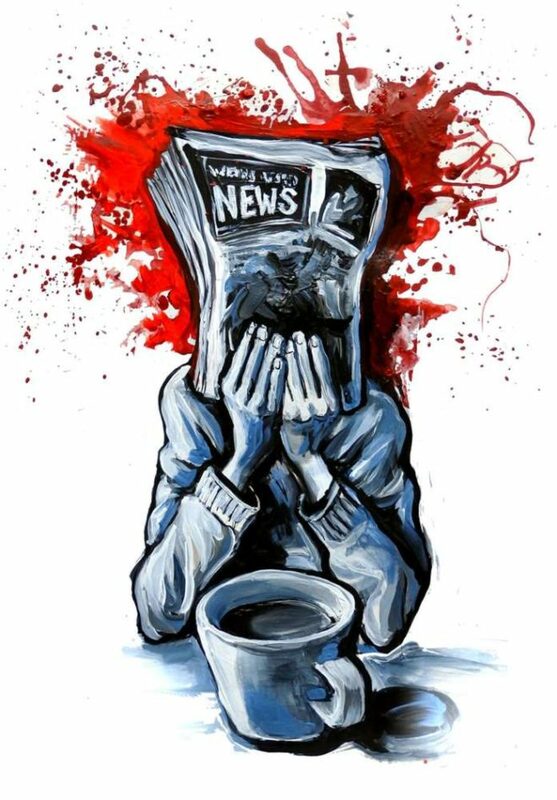 The image mixes the idea of mind-blowing news with Edvard Munch’s “Scream” painting (one of my favorites) using a cartoon-graphic-novel style. The newspaper cover design alludes to the decidedly fictional Weekly World News. Moreover, one of the novels taught in this course is Truman Capote’s “In Cold Blood” so the scream and blood effect apply. But most of all, this image is pretty much how I feel when I read the news today — or any day — oh, boy.